Our Tangles . . .
Busy times here in Wisconsin getting ready for the holiday season. Roads are quite slick today so it is a good day to stay home. I do enjoy my time each day when I take time to tangle a bit; thinking right now that I should take time each day to do that. Yesterday I worked on a new tangle that I am calling Wheelz. As always when I create what I think is a new tangle, I often wonder if someone hasn't already created it. This one has similarities to Zander. I share it with you below. This is Wheelz. I really like using Rick and Maria's template for CZT stepouts. It's so weird! A couple of days ago I came up with the EXACT same tangle! I got it from a picture of wallpaper I saw online. Any chance you saw the same thing? If not, were you inspired by something else? Just really curious. I think it's a great pattern. I actually got this from an idea in a friend's coffee table book at her house. What a nice one! It makes me want to grab my pen and tangle! If you click on the picture, it will be larger. Then you can download it and make it the size that is helpful to you. I don't mind it if you download it. Try it and enjoy! Wheelz is a great looking tangle! I can't wait to try it out! Thanks so much! This is a great tangle creation! You know, you could just go on and on and on until the whole page is filled! What fun. I love this one, ideal for filling that space you can't think what to put in it! Joyce are you planning to "pin" this one on Pinterest? Please do! I'd love to try it, but with my eyesight it needs to be larger for me to be able to follow. even the one that comes up when I click on the picture is to small. Colles, download it to your desktop. Then you will be able to make it any size you wish. I do not mind if you download it. Try it and enjoy! This is a great tangle pattern. Love it! It looks so complicated that I almost didn't even try. I'm glad I did because it is so easy to do and looks great! Would make a great mono tangle. Can't see well enough to try this. So sorry. M.M. Marky, if you click on the stepout. It will be bigger. You also then can download it to your desktop and make it any size you want in a word processor file. I do not mind if you download it. Please try it and enjoy. I absolutely love this, thank you so much for teaching me something so beautiful. I love this one it's so awesome, thank you so much. From Joyce in Oregon!!! Nice to meet another Joyce. 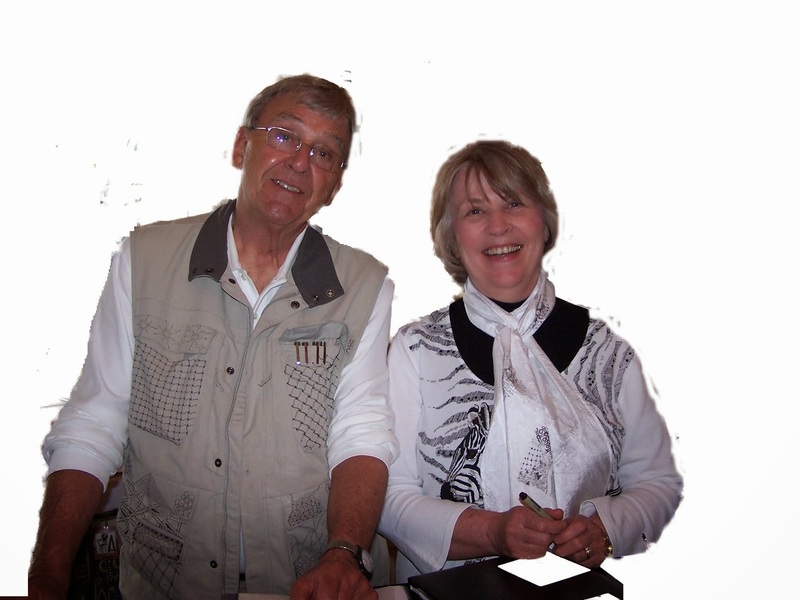 We are Don McCollum and Joyce Block. 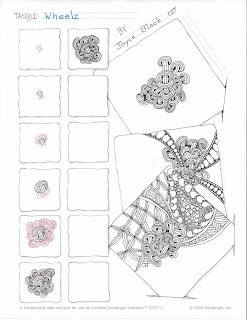 Both of us are CZTs (Certified Zentangle® Teachers). 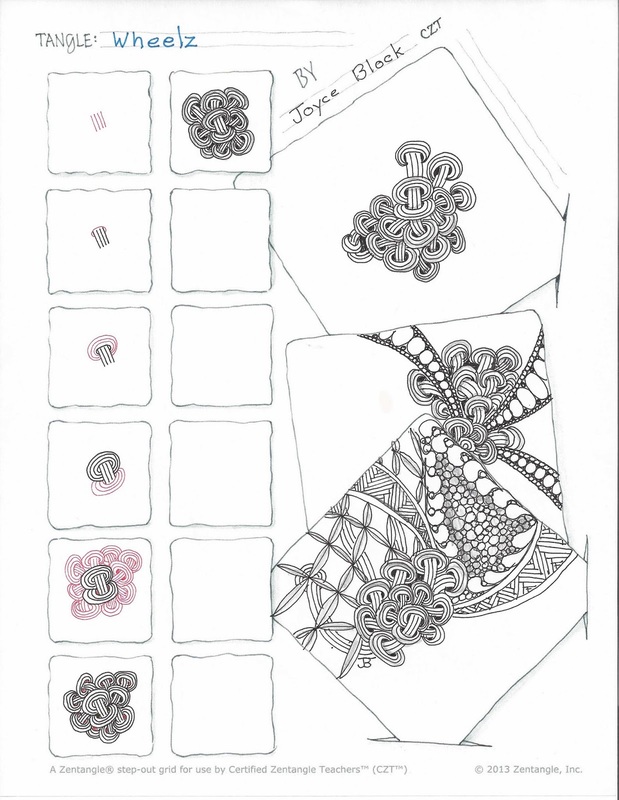 We have been team teaching the Zentangle® method since 2010.